Kevin Spencer Cardinal was born in High Prairie in 1972. 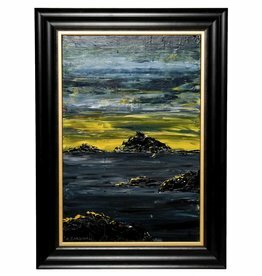 He is Woodland Cree from Wabasca. He's a fluent Cree speaker. 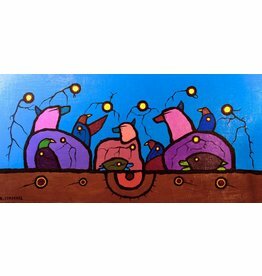 Woodlands Style Painting by Kevin Cardinal (Cree). 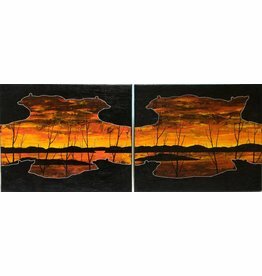 Pair of Sunsets by Kevin Cardinal (Cree). 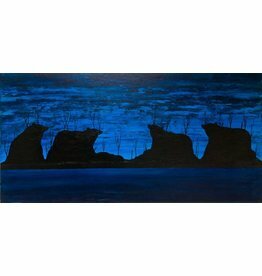 Blue Bears by Kevin Cardinal (Cree). 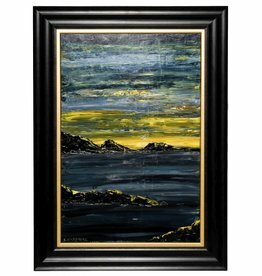 Framed Seascape 2 by Kevin Cardinal (Cree). 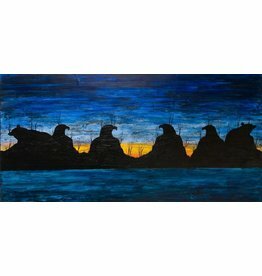 'Twilight Bears and Eagles' by Kevin Cardinal (Cree). 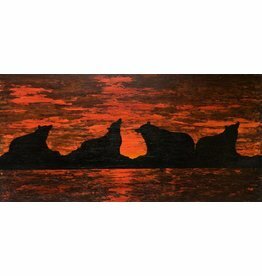 Red Bears by Kevin Cardinal (Cree).